The Industrial Landscape Collection is a striking new collaboration from EGE and Tom Dixon, a collection of seven unique designs that mark Dixon’s first foray in designing such an extensive carpet collection. Now available from RC+D exclusively in Australia, Industrial Landscape is Dixon’s first ever carpet collection, produced with EGE. As a native Brit, Dixon evokes the gritty character of London, exploring the vivid images of London’s backdrop. From billowing clouds of industrial smoke, to glazed bricks, and deteriorating cobblestones, the collection reflects a raw and rough image of industrialisation. Dixon describes the collection as, “a series of patterns and textures that come naturally from the building process or the erosion process,” visible in London’s cityscape. The ever-present river Thames is a strong motif through the collection, as are the scuffed cobblestones and railway tracks. The Industrial Landscape collection features predominantly earthy tones, greys, muted teals, and blues, with the option of multiple colour ways for each design. It is how these colours are used that makes the collection so striking, with their textures placing a piece of London right under our feet. RC+D is excited to bring the Industrial Landscapes collection to Australia, fresh from its launch at Stockholm Furniture Fair. Available both as broadloom and tiles, the collection allows for versatile customisation. There are eight standard qualities available for broadloom, and four standard qualities available for tiles. In partnership with EGE, the Industrial Landscapes Collection carries patented Ecotrust felt backing and is comprised of regenerable ECONYL® yarns produced from fishing nets, making the carpets 100 per cent green. 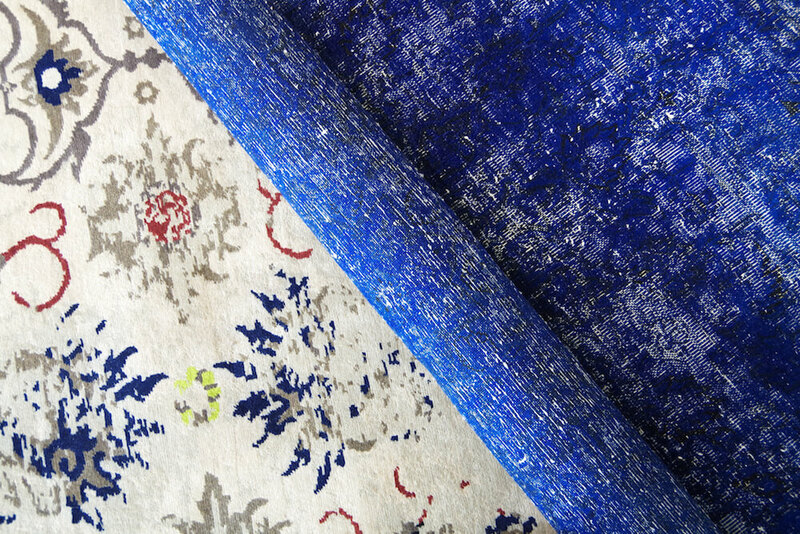 The Montgolfier Collection from EGE is setting new trends in custom carpet design. It was the unique beauty and experience of a hot air balloon ride that inspired EGE’s Creative Director, Adrien Alexander, to create the Montgolfier Collection – a new range of six textile flooring designs that has captured the imagination of our design community – right across Australia. Adrien found himself suspended high above the Africa continent in his hot air balloon, breathless from the boundless beauty of the countryside and the never-ending horizons that surrounded him. “This is exactly how the inspiration for the Montgolifer Collection came to me,” he comments in the official presentation of the collection. Now available for the first time in Australia through RC&D, the collection has captured the imaginations of our local market with its organic patterning, an abstract interpretation of the African landscape. The collection’s colourways, too, resonate with our collective love for muted tones – greys, charcoals and silvers, brightened by a bold pop of yellow or burgundy should we dare! From dry savannahs, to glittering gold mines, blue salt lakes and burnt forests, Adrien weaves the spirit of the Montgolfier Collection into reality, in multi-layers with multi-level loop textures. The range is available in a tough rugged loop pile – ideal for commercial settings; as well as a plush cut pile which exudes the perfect amount of luxury for environments such as hotels and function centres. Launched in Australia as part of Sydney Indesign, the Montgolfier Collection is available exclusively through RC&D in Australia. Colourways can be customised to suit the interior environment.